Pisa’s name derives from an Etruscan word meaning “outfall”—the outlet formed by a river as it flows into the sea. Every four years Pisa celebrates its maritime origins by re-enacting naval battles between the four historic republics (Pisa, Venice, Genoa and Amalfi) during the Historic Regata on the Arno River. 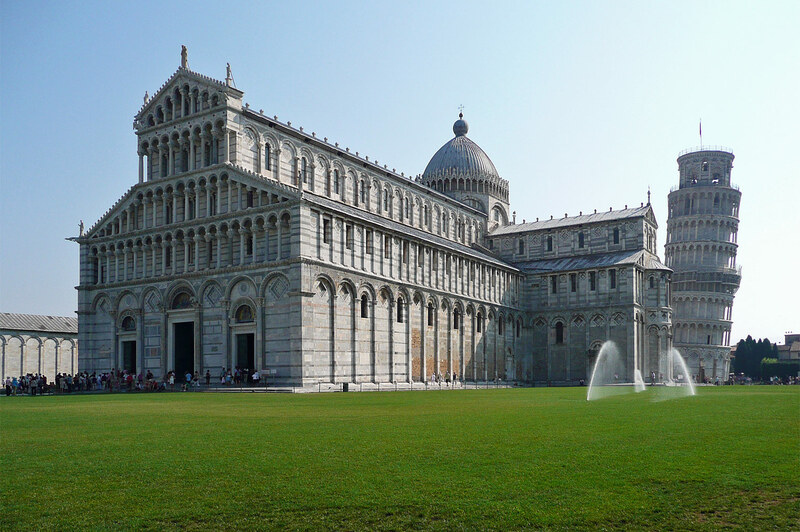 The Piazza dei Miracoli (Square of Miracles) is home to many of the city’s most beautiful attractions. The baptistery shares the piazza with the imposing Camposanto (sacred burial ground) whose 43 blind arcades face the square. To the right of the Camposanto is the marble-covered cathedral, a masterpiece of Pisan Romanesque architecture built in the early 1600s. 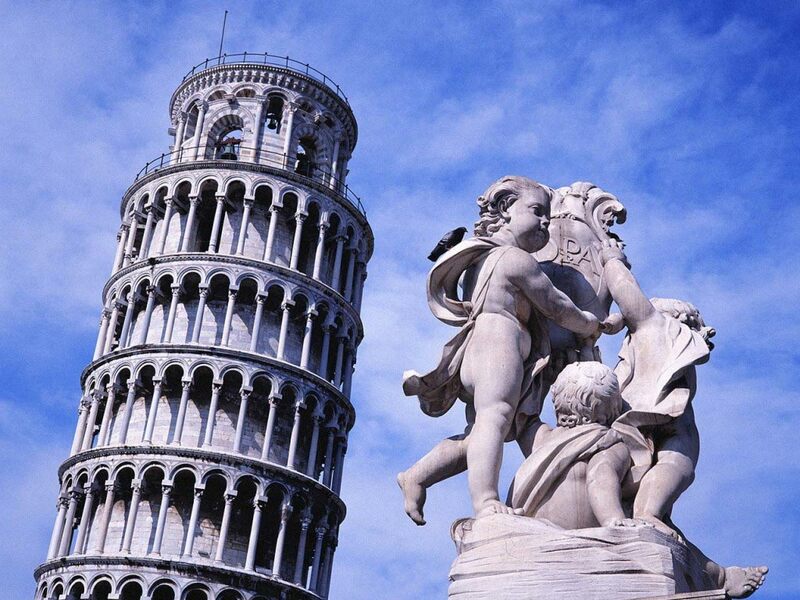 The famous Leaning Tower rises directly behind the cathedral.